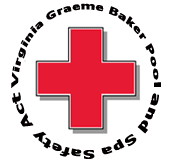 The Virginia Graeme Baker (VGB) Pool and Spa Safety Act was enacted by Congress and signed by President Bush on December 19, 2007. The VGB law focuses on building pools that prevent children from getting trapped underwater by the suction from the main pool drain. Federal law now dictates that all public pools comply with VGB standards. Many states have now also extended that law to private residential pools. For example, Florida has had these standards in place for some time, and other states are following quickly. Pentair IntelliFlo VS+SVRS pumps (the Monogram Standard) contain an integrated Safety Vacuum Release System (SVRS), which provides an important layer of entrapment protection. Their built-in controller and proprietary software detect blockage of the drain and automatically shuts the pump off within seconds. They meet ASME A112.19.17.2002 standards, thereby complying with new Federal legislation related to public pools (Virginia Graeme Baker Pool Safety Act), as well as a growing number of state and local statutes for residential pools where entrapment protection measures are required – Pennsylvania will probably not be far behind. And even though it isn't yet a law in PA, Monogram would never build a pool without complying with the VGB criteria. It just makes common sense.